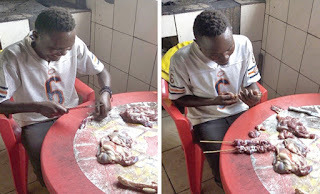 For Canadians, meat on a stick is a fun cultural experience no matter where we travel, it seems. And it's almost always worth it! Similar in style to Middle Eastern shish kebab or Greek souvlaki, this is an East African version that does not disappoint. 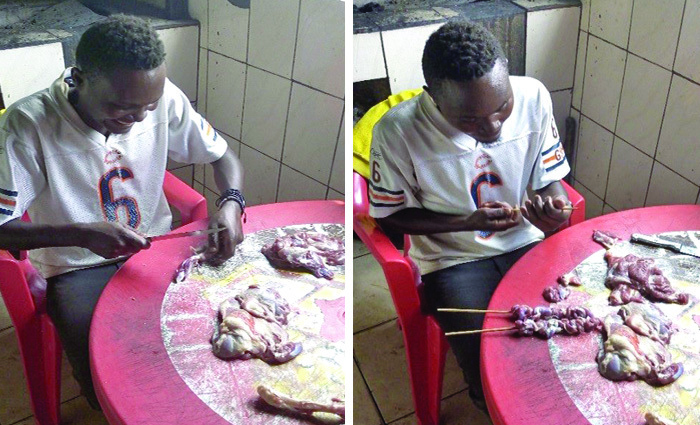 It is especially popular in Rwanda during the Christmas season. Step aside turkey, goat's butting its way into Christmas supper this year! 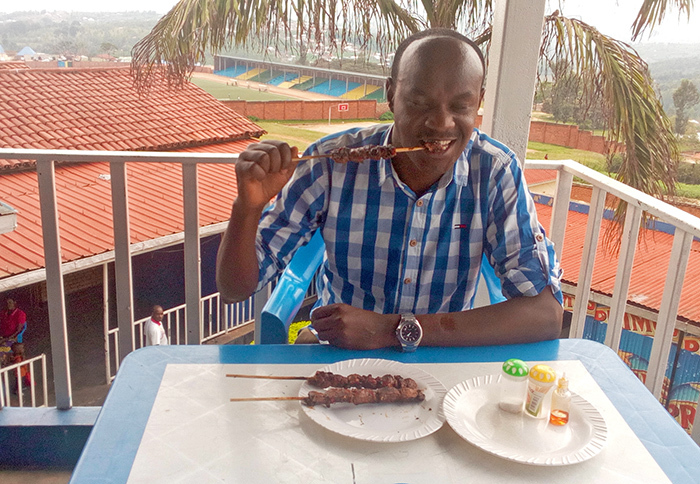 This recipe comes to us from Food for the Hungry staff in Rwanda with special thanks to Faustin Ndayisaba, Janvier Habimana, Regis Shukuru, Joselyne Gitego, and Gideon Abariwado. 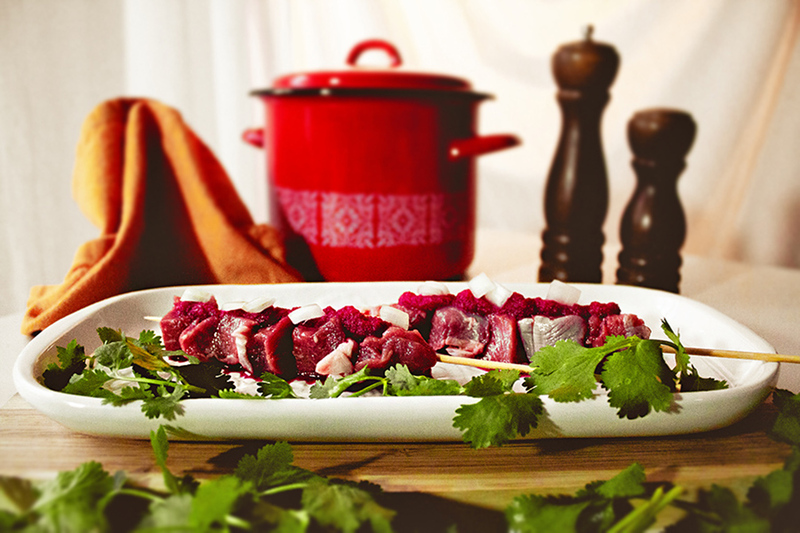 *When choosing goat mutton from your local butcher, look for meat that is a slightly shiny and red-purple in colour. This will be a more tender and flavourful cut. Cut goat mutton into cubes or small strips. Push onto skewers. 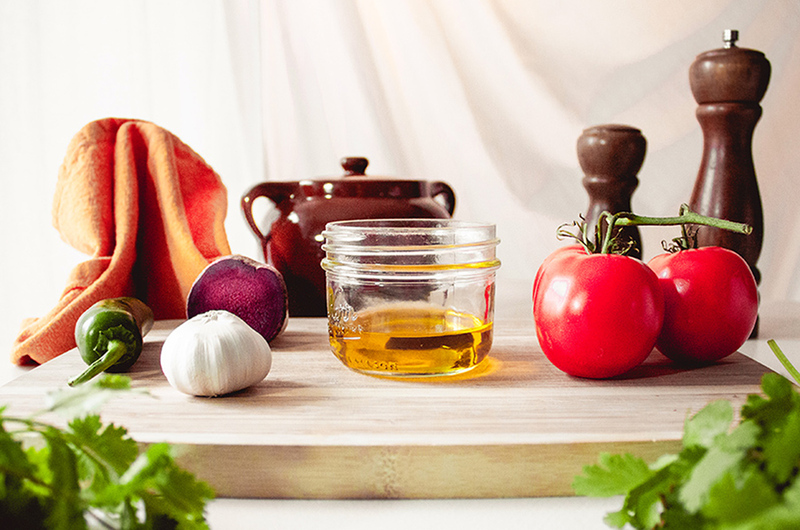 If using wooden skewers, soak skewers in water for 30 minutes prior to adding meat. Dice tomatoes, onions, beet, and garlic. Combine with chili pepper and a splash of vegetable oil and blend into a runny marinade. (The colour of the marinade will reflect the kind of beet you use). 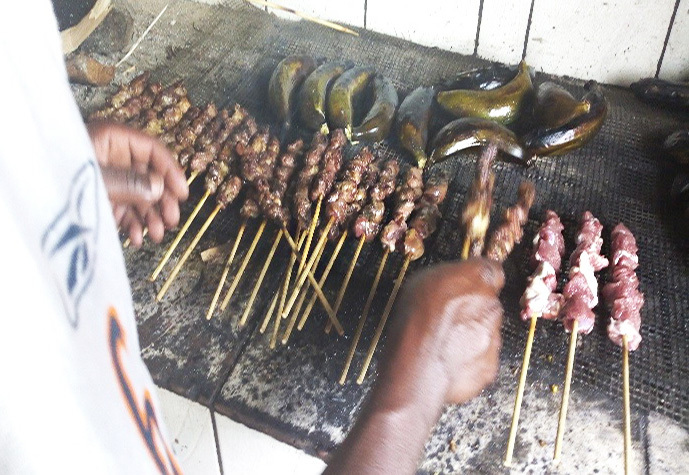 Brush marinade onto skewered goat mutton. 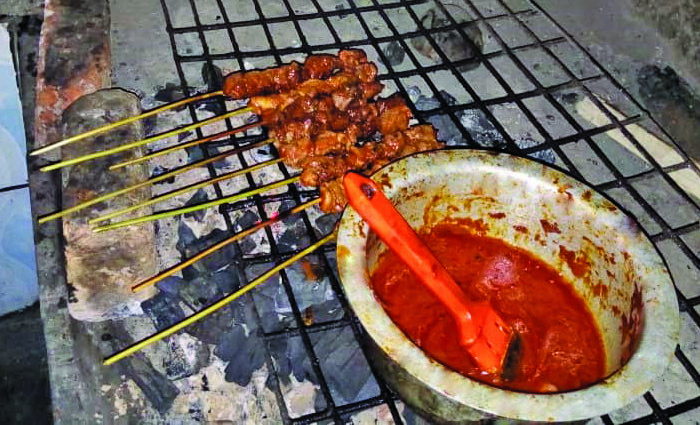 For best flavour, marinate skewers for several hours or overnight in the refrigerator. However, you can cook immediately as well. Roast brochette and bananas (in the peel) over medium-low heat on pre-heated barbecue or over coal briquettes. 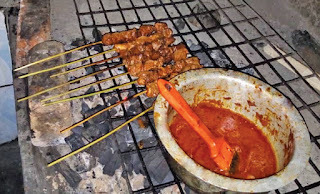 Keep the skewers close together and gently turn the skewers every few minutes so the meat cooks evenly but without losing all the marinade and juices. Brush with additional marinade as needed. Continue until meat is cooked through and crispy at its edges. Roast the bananas this entire time. 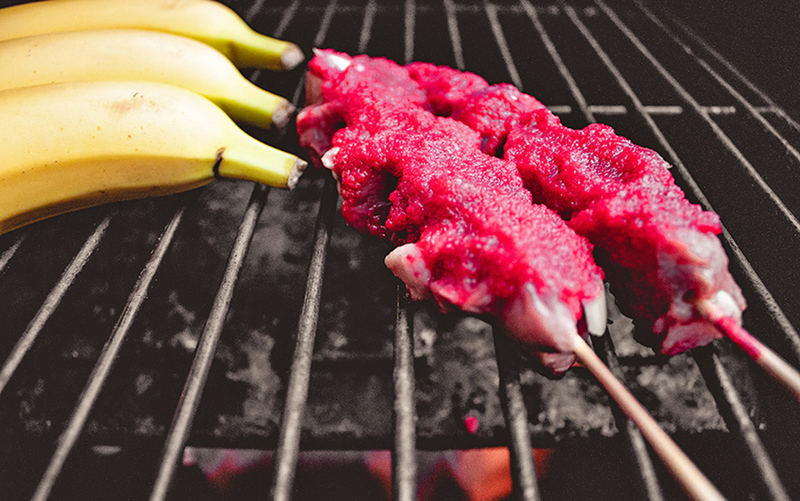 Serve brochette on a bed of peeled roasted bananas.